This site is owned and operated by the Society of Health and Physical Educators (referred to as "SHAPE America", "we," "us," or "our" herein). No material from shapeamerica.org or any website owned, operated, licensed or controlled by SHAPE America may be copied, reproduced, republished, uploaded, posted, transmitted, or distributed in any way, except that you may download one copy of the materials on any single computer for your personal, non-commercial home use, or classroom (educational use) only, provided you keep intact all copyright and other proprietary notices. Modification of the materials or use of the materials for any other purpose is a violation of SHAPE America's copyright and other proprietary rights. For purposes of this Agreement, the use of any such material on any other website or networked computer environment is prohibited. In the event you download software from the site, the software, including any files, images incorporated in or generated by the software, and data accompanying the software (collectively, the "Software") are licensed to you by SHAPE America. SHAPE America does not transfer title to the Software to you. You own the medium on which the Software is recorded, but SHAPE America retains full and complete title to the Software, and all intellectual property rights therein. You may not redistribute, sell, decompile, reverse engineer, disassemble or otherwise reduce the Software to a human-perceivable form. SHAPE America is pleased to hear from its members and welcomes your comments regarding SHAPE America products, including SHAPE America's electronic services. However, any information or materials submitted to, or uploaded to SHAPE America’s site will become SHAPE America property. SHAPE America is entitled to unrestricted use of the information for any purpose whatsoever, commercial or otherwise, without compensation to the provider of the information. In general SHAPE America will follow established polices for print publications, such as the SHAPE America journals. This site is controlled and operated by SHAPE America from its offices within the Commonwealth of Virginia, United States of America. SHAPE America makes no representation that materials in the site are appropriate or available for use in other locations. Those who choose to access this site from other locations do so on their own initiative and are responsible for compliance with local laws, if and to the extent local laws are applicable. Software from this site is further subject to United States export controls. No software from this site may be downloaded or otherwise exported or reexported (i) into (or to a national or resident of) Cuba, Iraq, Libya, North Korea, Iran, Syria or any other country to which the U.S. has embargoed goods; or (ii) to anyone on the U.S. Treasury Department's list of Specially Designated Nationals or the U.S. Commerce Department's Table of Deny Orders. By downloading or using the software, you represent and warrant that you are not located in, under the control of, or a national or resident of any such country or on any such list. This agreement is effective until terminated by either party. You may terminate this agreement at any time by destroying all materials obtained from any and all SHAPE America's site(s) and all related documentation and all copies and installations thereof, whether made under the terms of this agreement or otherwise. This agreement will terminate immediately without notice from SHAPE America if in SHAPE America's sole discretion you fail to comply with any term or provision of this agreement. Upon termination, you must destroy all materials obtained from this site and any and all other SHAPE America site(s) and all copies thereof, whether made under the terms of this agreement or otherwise. SHAPE AMERICA collects cookies on our Web site to capture information about page visits. This information is anonymous and SHAPE AMERICA uses this information only internally - to deliver the most effective content to our visitors. Information from the cookies is used to gauge page popularity, analyze traffic patterns on our site and guide development of other improvements to our site. SHAPE AMERICA does not require that you accept cookies, however, some functionality on our Web site, our product or service check-out process, and products and services may be disabled if you decline to accept cookies. You can set your browser to notify you when you receive a cookie, giving you the chance to decide whether or not to accept it. You may also change your cookie settings through preferences options in our products and/or services, where applicable. SHAPE AMERICA never gives away information about our users. If you choose to e-mail us and provide personally identifiable information about yourself, SHAPE AMERICA will use this information only to respond to your inquiry. SHAPE AMERICA will not sell, rent or otherwise disclose that information to third parties unless such disclosure is necessary for the purposes set forth in this Policy, by law or a policy or notice contained or associated with a specific SHAPE AMERICA product or service. SHAPE AMERICA uses analytics data and the DoubleClick cookie to serve ads based on a user's prior visits to our website. Site visitors may opt out of the DoubleClick cookie by visiting the Google advertising opt-out page or they may opt out of Google Analytics by visiting the Google Analytics opt-out page. Google has additional information available about their Remarketing Privacy Guidelines, Policies, and Restrictions. THE MATERIALS IN THIS SITE ARE PROVIDED "AS IS" AND WITHOUT WARRANTIES OF ANY KIND EITHER EXPRESS OR IMPLIED. 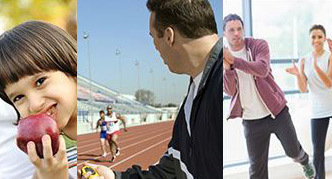 TO THE FULLEST EXTENT PERMISSIBLE PURSUANT TO APPLICABLE LAW, SHAPE America DISCLAIMS ALL WARRANTIES, EXPRESS OR IMPLIED, INCLUDING, BUT NOT LIMITED TO, IMPLIED WARRANTIES OF MERCHANTABILITY AND FITNESS FOR A PARTICULAR PURPOSE. SHAPE America DOES NOT WARRANT THAT THE FUNCTIONS CONTAINED IN THE MATERIALS WILL BE UNINTERRUPTED OR ERROR-FREE, THAT DEFECTS WILL BE CORRECTED, OR THAT THIS SITE OR THE SERVER THAT MAKES IT AVAILABLE ARE FREE OF VIRUSES OR OTHER HARMFUL COMPONENTS. SHAPE America DOES NOT WARRANT OR MAKE ANY REPRESENTATIONS REGARDING THE USE OR THE RESULTS OF THE USE OF THE MATERIALS IN THIS SITE IN TERMS OF THEIR CORRECTNESS, ACCURACY, RELIABILITY, OR OTHERWISE. YOU (AND NOT SHAPE America) ASSUME THE ENTIRE COST OF ALL NECESSARY SERVICING, REPAIR OR CORRECTION. APPLICABLE LAW MAY NOT ALLOW THE EXCLUSION OF IMPLIED WARRANTIES, SO THE ABOVE EXCLUSION MAY NOT APPLY TO YOU. SHAPE America does not verify or substantiate the claims of advertisers. As a matter of law, it is the responsibility of an advertiser, not the publisher, to substantiate its claims. Under no circumstances, including, but not limited to, negligence, shall SHAPE America be liable for any special or consequential damages that result from the use of, or the inability to use, the materials in this site, even if SHAPE America or an SHAPE America authorized representative has been advised of the possibility of such damages. Applicable law may not allow the limitation or exclusion of liability or incidental or consequential damages, so the above limitation or exclusion may not apply to you. In no event shall SHAPE America's total liability to you for all damages, losses, and causes of action (whether in contract, tort (including, but not limited to, negligence) or otherwise) exceed the amount paid by you, if any, for accessing this site. This agreement shall be governed by and construed in accordance with the laws of the Commonwealth of Virginia, without giving effect to any principles of conflicts of law. If any provision of this agreement shall be unlawful, void, or for any reason unenforceable, then that provision shall be deemed severable from this agreement and shall not affect the validity and enforceability of any remaining provisions. This is the entire agreement between the parties relating to the subject matter herein and shall not be modified except in writing, signed by both parties. SHAPE America shall have the right at any time to change or discontinue any aspect or feature of its website(s), including, but not limited to, content, hours of availability, and equipment needed for access or use. SHAPE America shall have the right at any time to change or modify the terms and conditions applicable to use of its website(s), or any part thereof, or to impose new conditions, including, but not limited to, adding fees and charges for use. Such changes, modifications, additions or deletions shall be effective immediately upon notice thereof, which may be given by means including, but not limited to, posting on SHAPE America's website, or by electronic or conventional mail, or by any other means by which users obtains notice thereof. Any use of SHAPE America's website(s) after such notice shall be deemed to constitute acceptance by users of such changes, modifications or additions. To create a SHAPE America account you need to provide data including your name, email address and/or phone number, and a password. If you choose to purchase a product or join SHAPE America at one of our paid membership tiers, you will also need to provide payment (e.g., credit card) and billing information. Once you have created an account, you will be able to create your SHAPE America profile (a complete profile helps you get the most from our Services). You have choices about the information on your profile, such as your interest areas, birthdate, gender, contact information and communication preferences. Some Members also have access to and may choose to complete a separate mySHAPE America community profile. You don’t have to provide additional information on your SHAPE America profile; however, profile information helps you to get more from our Services, including helping other SHAPE America members find you. It’s your choice whether to include sensitive information. We do not require Members to include sensitive data (e.g., race, ethnicity, birthdate, gender information) in their SHAPE America profile. Please do not post or add personal data to your profile that you would not want to be publicly available. We collect personal data from you when you provide, post or upload it to our Services, such as when you fill out a form, (e.g., with demographic data or salary), respond to a survey, or submit a resource to our member community. If you opt to sync your social media accounts, we may receive your education, professional associations and job history for display in our mySHAPE America community. You don’t have to post or upload personal data; though if you don’t, it may limit your ability to grow and engage with your network over our Services. Customers and partners may provide data to us. We receive personal data about you when you use the services of our and partners, such as the SHAPE America Online Institute, mySHAPE America Community, SHAPE America Career Center. We receive data about you when you use some of the other services provided by us or our affiliates. Affiliates are companies controlling, controlled by or under common control with us, including, for example, SHAPE America Online Institute, mySHAPE America Community, SHAPE America Career Center. 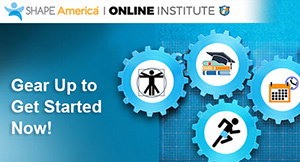 For example, your courses in the SHAPE America Online Institute are provided to us in order to allow us to offer you targeted professional development offerings on our Services. We log usage data when you visit or otherwise use our Services, including our sites, app and platform technology (e.g., our partner sites), such as when you view or click on content (e.g., download library) or ads (on or off our sites and apps), perform a search, or create an account in our Career Center. We use log-ins, cookies, device information and internet protocol (“IP”) addresses to identify you and log your use. SHAPE AMERICA collects cookies and similar technologies (e.g., web beacons, pixels, ad tags and device identifiers) on our Web site to recognize you and/or your device(s) on, off and across different Services and devices. SHAPE AMERICA uses this information only internally - to deliver the most effective content to our visitors. Information from the cookies is used to gauge page popularity, analyze traffic patterns on our site and guide development of other improvements to our site. SHAPE AMERICA does not require that you accept cookies, however, some functionality on our Web site, our product or service check-out process, and products and services may be disabled if you decline to accept cookies. SHAPE AMERICA uses analytics data and the DoubleClick cookie to serve ads based on a user's prior visits to our website. Site visitors may opt out of the DoubleClick cookie by visiting the Google advertising opt-out page or they may opt out of Google Analytics by visiting the Google Analytics opt-out page. Google has additional information available about their Remarketing Privacy Guidelines, Policies, and Restrictions. You can set your browser to notify you when you receive a cookie, giving you the chance to decide whether or not to accept it. You may also change your cookie settings through preferences options in our products and/or services, where applicable. We receive data from your devices and networks, including location data. When you visit or leave our Services (including our website or cookies or similar technology on the sites of others), we receive the URL of both the site you came from and the one you go to next. We also get information about your IP address, proxy server, operating system, web browser and add-ons, device identifier and features, and/or ISP or your mobile carrier. If you use our Services from a mobile device, that device will send us data about your location based on your phone settings. We collect information about you when you send, receive, or engage with messages in connection with our Services. For example, if you get an mySHAPE America community connection request, we track whether you have acted on it and will send you reminders. We also use activity data to trigger automated messages and deliver targeted messaging about programs, products and services to you. When your employer or school buys a Service for you to use, they give us data about you. Others buying our Services for your use, such as your employer or your school, provide us with personal data about you and your eligibility to use the Services that they purchase for use by their workers, students or alumni. For example, we will get contact information for “Ship To” information and for authorizing users of our premium Services, such as our convention registration, mySHAPE America community or Online Learning products. We get data when you visit sites that include our plugins, ads or cookies or log-in to others’ services with your SHAPE America account. We receive information about your visits and interaction with services provided by others when you log-in with your SHAPE America password or visit others’ services that include our plugins (such as “SHAPE America Online Store”), ads, cookies or similar technologies. How we use your personal data will depend on which Services you use, how you use those Services and the choices you make in your profile. We use the data that we have about you to provide and personalize, including with the help of automated systems and inferences we make, our Services (including automated messages) so that they can be more relevant and useful to you and others. Our Services help you connect with others, find and be found for work and social networking opportunities, stay informed, get professional development and be more productive. Our Services allow you to stay in touch and up to date with colleagues, partners, and other professional contacts. To do so on mySHAPE America, you will “connect” with the professionals who you choose, and who also wish to “connect” with you. Subject to your settings, when you connect with other Members, they will be able to see your profile information in order to mySHAPE America professional opportunities. We will use data about you (such as your profile, profiles you have viewed or activity data provided through uploads or other engagements) to suggest new opportunities (e.g. products that meet your interest areas). Our Services allow you to stay informed about news, events and ideas regarding professional topics you care about, and from professionals you respect. Our Services also allow you to improve your professional skills, or learn new ones. We use the data we have about you (e.g., data you provide, data we collect from your engagement with our Services and inferences we make from the data we have about you), to recommend relevant content on our Services, and skills that you might need to pursue your next opportunity. So, if you let us know that you are interested in a new skill (e.g., by watching a learning video), we may use this information to personalize content in an email, or suggest that you watch related learning content to help you towards that new skill. We use your content, activity and other data, including your name and picture, to provide notices to your network and others on mySHAPE America. For example, subject to your settings, we may notify others that you have posted a blog. Our Services allow you to explore careers, evaluate educational opportunities, and seek out, and be found for, career opportunities. Your profile can be found by those looking to hire (for a job or a specific task) or be hired by you. We will use your data to recommend jobs or mentees, show you and others who work at a company, in an industry, function or location or have certain skills and connections. We may use automated systems to profile and provide recommendations to help make our Services more relevant to our Members, Visitors and customers. Keeping your profile accurate and up-to-date may help you better connect to others and to opportunities through our Services. Our Services allow you to collaborate with colleagues and build your professional network. Our Services allow you to communicate with other visitors and members and schedule and prepare meetings with them. Our premium Services, including membership, allow paying users to access member-only content on our site. We contact you and enable communications between Members through our mySHAPE America community. We offer preference settings in the account profile to control what messages you receive. We will contact you through email, phone, notices posted on our websites or apps, messages to your mySHAPE America account, and other ways through our Services, including push notifications through our mobile app. We will send you messages about the availability of our Services, security, or other service-related issues. We also send messages about how to use the Services, network updates, reminders, job suggestions and promotional messages from us and our partners. You may change your communication preferences at any time in your account profile. Please be aware that you cannot opt-out of receiving service messages from us, including security and legal notices. We serve you tailored ads both on and off our Services. We target (and measure the performance of) ads to Members, Visitors and others both on and off our Services directly or through a variety of partners. Partners include ad networks, exchanges and others, using the following data, whether separately or combined: •	Data from advertising technologies on and off our Services, like web beacons, pixels, ad tags, cookies, and device identifiers; •	Member-provided information (e.g., profile, contact information); •	Data from your use of our Services (e.g., search history, content you read, connections, Special Interest Group participation, page visits, videos you watch, clicking on an ad, etc. ), including as described in Section 1.3; We will show you ads called sponsored content which look similar to non-sponsored content, except that they are labeled “ads” or “sponsored.” Subject to your settings, if you take an action (such as like, comment or share) on these ads, your action is associated with your name and viewable by others, including the advertiser. We do not share your personal data with any third-party advertisers or ad networks for their advertising except for: (i) hashed or device identifiers (to the extent they are personal data in some countries); (ii) with your separate permission (e.g., lead generation form) or (iii) data already visible to any users of the Services (e.g. profile). However, if you view or click on an ad on or off our site or apps, the ad provider will get a signal that someone visited the page that displayed the ad, and they may through the use of mechanisms such as cookies determine it is you. We use data, including public feedback, to conduct research and development for the further development of our Services in order to provide you and others with a better, more intuitive and personalized experience, drive membership growth and engagement on our Services, and help connect professionals to each other. We use data to generate aggregate insights. We use your data to produce and share aggregated insights that do not identify you. For example we may use your data including inferences drawn from data about you such as your age or gender to generate statistics about our members, their profession or industry, to calculate ad impressions served or clicked on, or to publish visitor demographics for a Service or demographic workforce insights. Any data that you include on your profile and any content you post or social action (e.g. mySHAPE America community) may be seen by others. Profile Subject to your settings, your account profile may be visible to Members and customers of our Services. Subject to your settings, it can also be visible to others on or off of our Services (e.g., Visitors to our mySHAPE America site). Some of our Services allow viewing and sharing information including through blogs, posts, and comments. When you share an article or a post (e.g., an update, image, video or article) publicly in our member blogs it can be viewed by everyone and re-shared anywhere. Members, Visitors and others will be able to find and see your publicly-shared content, including your name (and photo if you have provided one). We share your data across our different Services and affiliated entities. 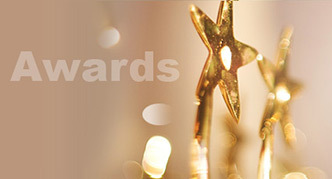 We use others to help us provide our Services (e.g., maintenance, analysis, audit, payments, marketing and development). They will have access to your information as reasonably necessary to perform these tasks on our behalf and are obligated not to disclose or use it for other purposes. 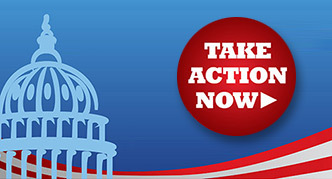 It is possible that we will need to disclose information about you when required by law, subpoena, or other legal process or if we have a good faith belief that disclosure is reasonably necessary to (1) investigate, prevent, or take action regarding suspected or actual illegal activities or to assist government enforcement agencies; (2) enforce our agreements with you, (3) investigate and defend ourselves against any third-party claims or allegations, (4) protect the security or integrity of our Service (such as by sharing with companies facing similar threats); or (5) exercise or protect the rights and safety of SHAPE America, our Members, personnel, or others. We retain your personal data while your account is in existence or as needed to provide you Services. This includes data you or others provided to us and data generated or inferred from your use of our Services. Even if you only use our Services when looking for a new job every few years, we will retain your information and keep your profile open unless you specifically request it be removed. For more information you can contact us using the contact information below. We keep some of your data even if you discontinue membership or don’t use your account. We retain your personal data as reasonably necessary to meet regulatory requirements, resolve disputes, maintain security, prevent fraud and abuse, or fulfill your request to “unsubscribe” from further messages from us. Information you have shared with others (e.g., through mySHAPE America) may remain visible after you closed your account or deleted the information from your own profile, and we do not control data that other Members copied out of our Services. We will only collect and process personal data about you where we have lawful bases. Lawful bases include consent when required by law. Where we process data based on consent, we will ask for your explicit consent. You may withdraw your consent at any time, but that will not affect the lawfulness of the processing of your personal data prior to such withdrawal. Where we rely on contract (such as membership), we will ask that you agree to the processing of personal data that is necessary for entering into or performance of your contract with us. We will rely on legitimate interests as a basis for data processing where the processing of your data is not overridden by your interests or fundamental rights and freedoms (where you have given consent), contract (where processing is necessary for the performance of a contract with you (e.g. to deliver the SHAPE America Services you have requested)) and “legitimate interests”. Where we rely on your explicit consent to process personal data, you have the right to withdraw or decline your consent at any time and where we rely on legitimate interests, you have the right to object. SHAPE America provides additional privacy protection information for those SHAPE America Sites where we knowingly collect information from children under the age of 13. Information practices concerning children are found on each website or online service where personal information is collected from children under 13 or used or shared in ways not otherwise covered by the rest of this Privacy Statement. We will not knowingly request personally identifiable information from anyone under the age of 13 without prior verifiable parental consent. With parental consent, we may collect information of children under the age of 13 such as: name, address, email address, account information, and media/ content parents chose to upload themselves. That information allows us to fulfill requested transactions, facilitate participation in activities, keep records, undertake certain marketing activities, or to otherwise customize or enhance the web site experience. We do not share child personally identifiable information with any third parties except the child's respective school where necessary to facilitate the child's involvement in a fundraising activity. With their parents, children under the age of 13 may be able to make certain content such as content they create themselves visible to others or the public. This might include, for example, a webpage or parts of webpages operated by children that have been designed for group or public viewing, or photos of themselves involved in our programs or other activities. 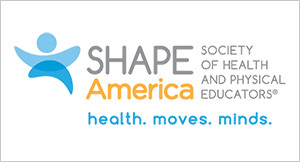 SHAPE America’s mission is to advance professional practice and promote research related to health and physical education, physical activity, dance and sport. 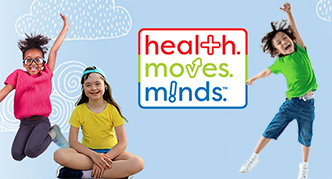 Our vision is a nation where all children are prepared to lead healthy, physically active lives. GEORGIA - A full and fair description of the programs of SHAPE America and our financial statement summary is available upon request at the office and phone number indicated above. ILLINOIS - Contracts and reports regarding SHAPE America are on file with the Illinois Attorney General. MARYLAND - For the cost of copies and postage, Office of the Secretary of State, State House, Annapolis, MD 21401. MISSISSIPPI - The official registration and financial information of SHAPE America may be obtained from the Mississippi Secretary of State’s office by calling 1-888-236-6167. Registration by the Secretary of State does not imply endorsement. NEW JERSEY - INFORMATION FILED WITH THE ATTORNEY GENERAL CONCERNING THIS CHARITABLE SOLICITATION AND THE PERCENTAGE OF CONTRIBUTIONS RECEIVED BY THE CHARITY DURING THE LAST REPORTING PERIOD THAT WERE DEDICATED TO THE CHARITABLE PURPOSE MAY BE OBTAINED FROM THE ATTORNEY GENERAL OF THE STATE OF NEW JERSEY BY CALLING (973) 504-6215 AND IS AVAILABLE ON THE INTERNET AT http://www.state.nj.us/lps/ca/charfrm.htm. REGISTRATION WITH THE ATTORNEY GENERAL DOES NOT IMPLY ENDORSEMENT. PENNSYLVANIA - The official registration and financial information of SHAPE America may be obtained from the Pennsylvania Department of State by calling toll-free, within Pennsylvania, 1-800-732-0999. Registration does not imply endorsement. VIGINIA - Virginia State Office of Consumer Affairs, Department of Agricultural and Consumer Services, PO Box 1163, Richmond, VA 23218. WEST VIRGINIA - Residents may obtain a summary of the registration and financial documents from the Secretary of State, State Capitol, Charleston, WV 25305. Registration does not imply endorsement. WINSCONSIN - A financial statement of SHAPE America disclosing assets, liabilities, fund balances, revenue, and expenses for the preceding fiscal year will be provided upon request. Registration with any of these state agencies does not imply endorsement, approval or recommendation by any state.